Book Review and Winner of Book Giveaway! Book Giveaway!!!!! |… on Book Giveaway 2!!!!! 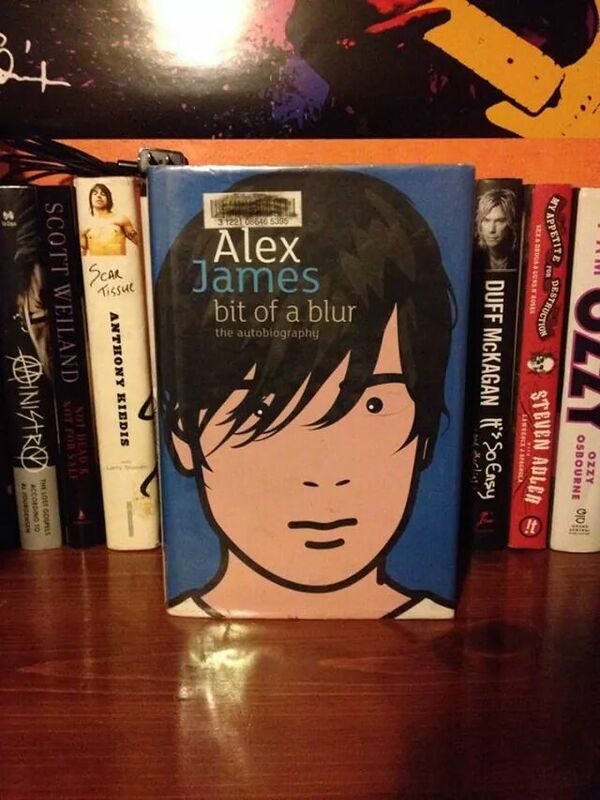 Alex James is the bass player of the brit pop band Blur. Alex writing is not your typical autobiography style, it is more like a collection of stories from the road. However that doesnt take away from being an interesting book. I first bought this book because i heard about all of his drug use and how he was the drunkest band member, but Alex doesnt really talk a lot about that. It was a bit dissapointing because even in the sleeve of the book it says all of that, but really you barely read about drugs, mostly just drunken nights. A. James does go into a lot of details of how they recorded their albums and how some of their biggest hits came to be in about 15 minutes (i know is stereotypical, every band’s biggest hits are written in 20 minutes or less). Strange enough he wrote very little about Song 2, which was odd considering thats perhaps their biggest hit. Along his journey Alex will take from his hometown, to New York, to Australia, to Iceland. The best part of this book is getting to read how the band formed and how they struggled in the beggining. There are also 3 different section of pictures, so that was cool because youd read a little bit and before you got bored with reading, bam! a section of pictures. Overall it was a cool book if you’d like to know a bit more about Blur, but dont expect a book to keep you on the edge.